1 Story Ranch Featuring 2 Bedrooms & 1 Bath. 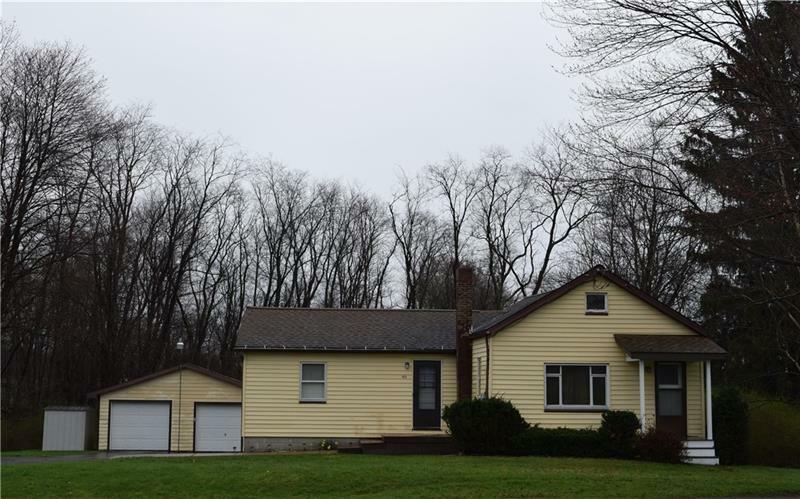 Home Is Located Directly Across The Street From Brandy Springs Park In East Lackawanack Twp! Sitting On Almost An Acre With A Flat Level Fenced Yard With A Fire Pit For Fun Summer Nights. Detached 2 Stall Garage For Your Vehicles & Toys. The Back Covered Porch or Front Porch Are Perfect To Enjoy Your Morning Coffee. Home Is Equipped With Updated Central Air, Updated Furnace, Public Sewer, & Well Water. Spacious Master Bedroom with Tons Of Natural Light. Updated Full Bathroom, Updated Kitchen With White Cabinets & Updated Countertops. All Updated Appliances Stay With Home Including The Washer & Dryer & Bonus Refrigerator In The Basement. Cozy Living Room With Picture Window With View Of Brandy Springs Park. The Basement Features A Room Thatâ? ?s Used As An Office. Fresh Paint Throughout. The Attic & Basement Offer Tons Of Storage! Hello, I'm interested in 413 Shenango Street.